Are you looking for Windows Dedicated Server hosting services in India?? 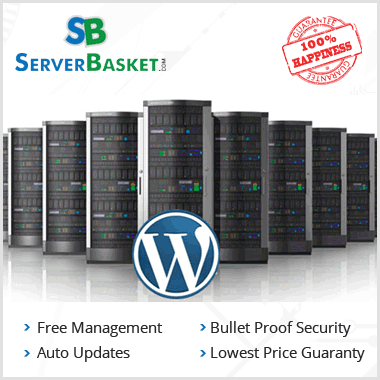 Then Server Basket is the best place to buy from. 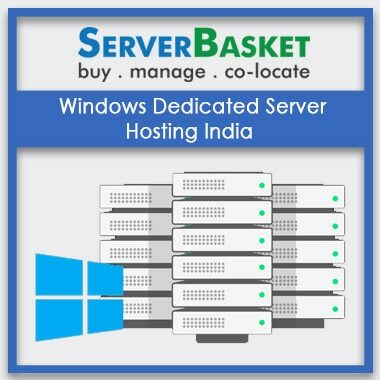 All the Windows Dedicated Servers available from Server Basket are hosted in tier 4 datacenters in India. This offers easy data localization and hence better SEO results for Indian websites. This is the great option for Indian businesses as you can host your server in datacenters nearest to your location and increase speed and uptime. All the windows dedicated server India are enabled with IPS firewall securities and we provide free windows antivirus by default. Hence, if you are looking for windows dedicated server hosting India, then grab it from Server Basket at the lowest possible prices. 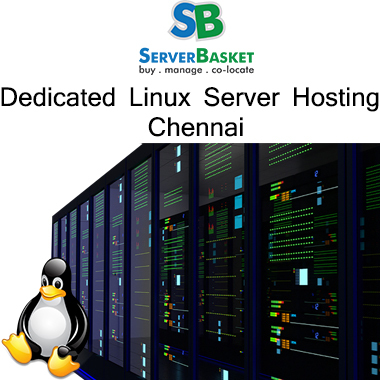 All the windows dedicated servers available from Server Basket are hosted in tier 4 Indian datacenters. As the servers are hosted in Indian datacenters, it is a huge benefit in case of speed, and as distance plays the main criteria, less the distance the more will be the speed of the applications to load and access, and less the latency, faster the page load speed. It is also a cost-effective acquiring profitable benefit. Windows dedicated server hosting India are available for all ISVs, small-scale industries, mid and large scale industries. Your server will be located at the nearest datacenters to speed the access to data, emails, websites, applications, etc. All the windows dedicated servers hosting India available at Server Basket are compatible and ready for any Windows OS installation. You have a choice to choose and configure OS of any windows versions such as windows server 2016, windows server 2012 windows multipoint server 2011, windows server 2008 enterprise, etc. and ask for installation at the time of placing your order. Some of your applications may run on a specific OS configuration, so you can buy the server based on the Windows OS that you are in need of, which supports to run your applications. 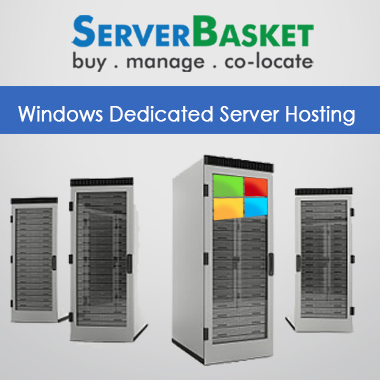 All windows OS configured dedicated servers are available at Server Basket. The data stored within the country (India) is to be more cost-effective and the best solutions for any data storage issues. Data localization requires the best IT infrastructure and security measures for data crucial to your business. Server Basket has the best infrastructure across India to provide data storage space to the place nearest to your office/ workplace resulting in easy and quick access to your stored data. For example, when you are in need of any physical backups, we can immediately back up the data to an external storage device and send it to your location if you are our Windows dedicated server hosting India client. The huge advantage of data localization is that you do not need to fear of losing data to hackers as your data is protected in a local datacenter within India. As Google and other search engines value websites that are from local vicinity for local seo, you get good visibility and a considerate boost in your search engine ranking by hosting your website, data and application on windows dedicated server hosting India. For any small and large websites, the SEO results in India will be high, since the servers are hosted in datacenters in India, and the topmost results search will be shown from the nearest server available. Therefore by hosting on Windows dedicated server hosting India with Server Basket, you can expect great SEO results in India. It is our responsibility to meet or exceed the customer’s goals in any way possible. There will be no need of CDN network subscription since your server will be stored in Indian datacenters and at the location nearest to the server access and also in multiple locations in India if required. For example, if you have an e-commerce website in India but have a data center hosted in the USA, you need a CDN to access the same data in multiple locations in India which results in access cost incurring. Since Server Basket is offering data centers in India itself, there will be no need of CDN network subscription, and this will increase your cost efficiency. You can sustain local traffic, reach optimal uptime for your websites and also the number of happy sales and customers. We provide free windows server antivirus on the purchase of any windows dedicated server hosting India by default. Free licensed antivirus version is provided for best virus protection and internet security for any business. 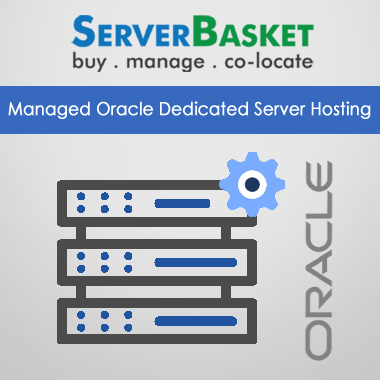 Server Basket gives importance to your peace of mind and cares the most about the server securities and the customer’s happy business in the long run. With a regular firewall, it will allow traffic to pass by if the access list rules have been poised to allow the traffic. But with an IPS enabled firewall, it ensures to detect the HTTP traffic and based on the signatures that have been authorized, it will check whether to allow that traffic or not. If it sees any exception during the process, IPS enabled firewall will detect and prevent the traffic from entering or passing through, hence protecting your data from unwanted intrusion on your Windows dedicated server hosting India. The major benefit of IPS enables firewall windows security is that it will prevent network threats from entering all over the network. All the Windows Dedicated Server Hosting India available from Server Basket provide 99.9% uptime. We guarantee you of an exceptional uptime with zero downtime possibilities since Server Basket have best in class infrastructure in India at multiple locations. Server Basket has its own datacenter. In case of failure of one of the server, we immediately shift your data to another standby server making sure that the other server continues to work for full extent. We use only high-performance bandwidth as bandwidth plays a vital role in uptime and it also provides reliable IP connectivity. 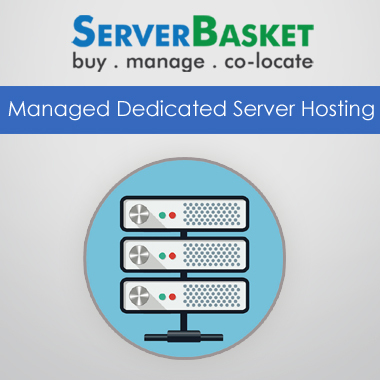 Server Basket provides India based windows dedicated server expert support round the clock. Our support services include OS configuration, MSSQL optimization, server securing and firewall installation, web configurations, control panel issues, data backups, etc. Our support team will respond and resolve to any issue raised in less than 15 minutes, and we guarantee you to solve your issue within 24 hours. You can reach out to us via live chat, toll-free number or email. We will be happy helping you out!